Milan’s Bicocca district, a historic industrial site in the city, has been undergoing large-scale redevelopment since the '90s under the Grande Bicocca plan. One of these renovation and technological modernisation projects was planned by PARK Associati for Engie. The conversion of the district known as Grande Bicocca includes an important part of Milan University (moving the faculties of Economics and Statistics, Physics and Mathematics, Sociology, Education, Law, Medicine and Psychology), followed in 2002 by the inauguration of the 2,346-seat Teatro degli Arcimboldi designed by Vittorio Gregotti. The new district also includes research centres operated by such prestigious organisations as CNR, Italy’s national research centre, and Istituto Neurologico Carlo Besta; the Hangar Bicocca exhibition centre and Bicocca Village, a major shopping centre with a multiplex cinema, shops, bars and restaurants. 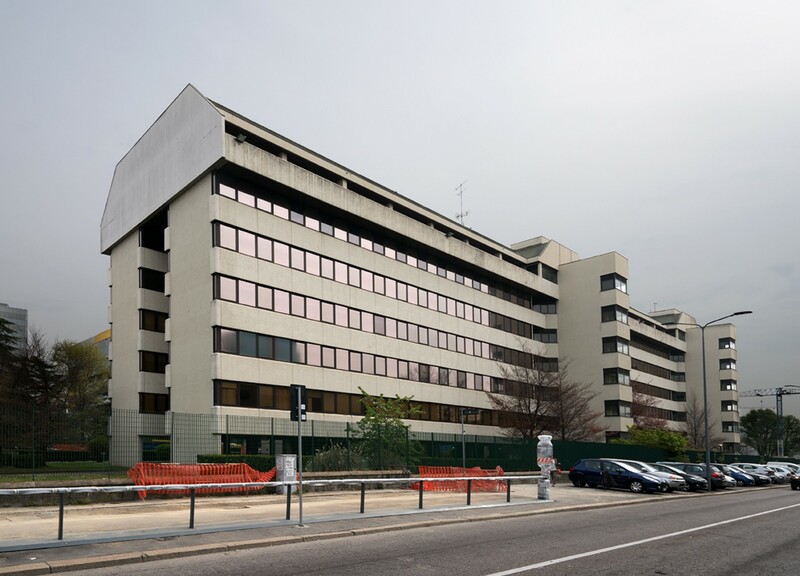 The infrastructure serving the Bicocca area includes the new high-tech metro line 5 linking the district with other parts of the city and two important traffic routes that pass through the Bicocca district and connect it with other important centres of production in northern Milan. The renewal project has undoubtedly made the area more attractive as a home for new service industries and for the offices of major corporations. The building, which was constructed in the early ’80s and had no particular architectural value, was completely redesigned to suit this profoundly renewed area. 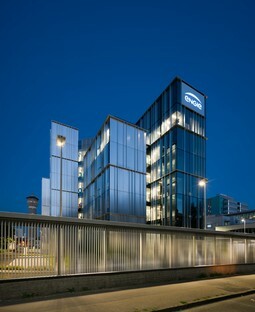 In addition to improving its energy efficiency and layout, PARK Associati did not merely renovate the existing building but entirely redesigned it; the architects remodelled the building’s volumes, adding new large terraces providing a visual link with the building’s urban and natural surroundings and sweeping views from the city skyline to the Alps. 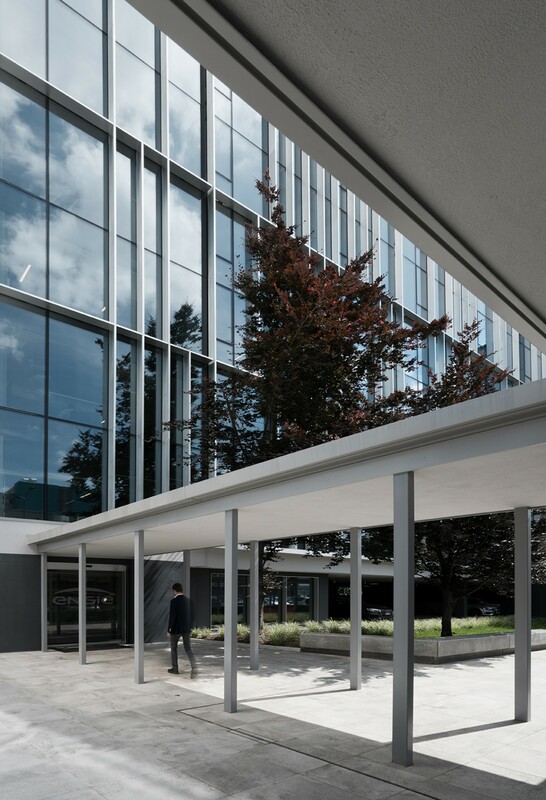 Outside the building, the green area visible from the road was maintained and the ground-floor reception area was redesigned and its volumes adapted. 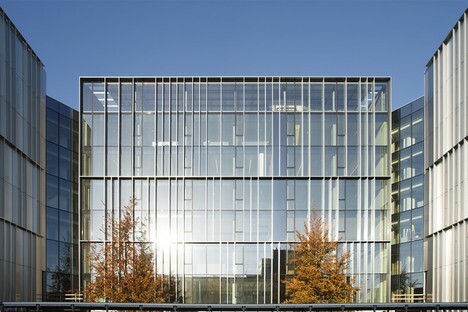 The façades were totally changed using a floor-to-ceiling modular insulating double-glazing system. The new system guarantees compliance with the highest energy conservation and soundproofing standards, while the transparency of the glass ensures a complete visual link between the work area and the outdoors, improving employees’ well-being in the workplace. The entrance is sheltered by a long platform roof extending out toward the main road to welcome people arriving at the building. The organisation and layout of space inside the building were redesigned to ensure maximum flexibility in the offices. The building has a completely new image, and now appears as a light, contemporary structure. This image corresponds to an important aspect: a thorough improvement of the building’s energy performance. 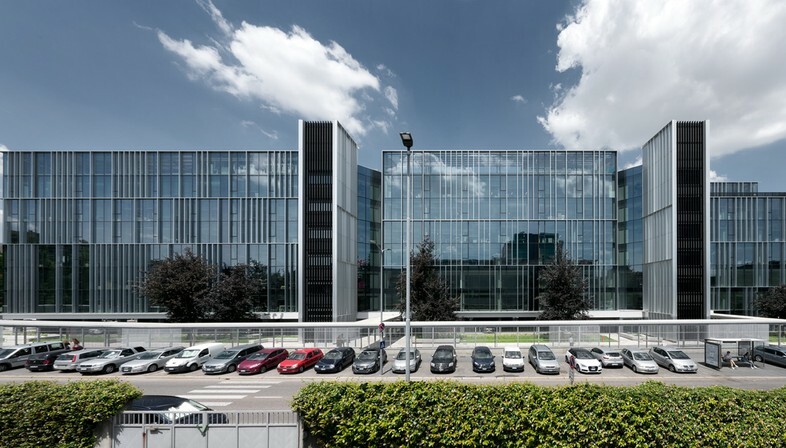 The new Engie Headquarters were originally class E but are now classified as A3, one of only six buildings in Milan with Leed Platinum certification, recently awarded the Global Architecture & Design Award in the Office Building (Built) category.